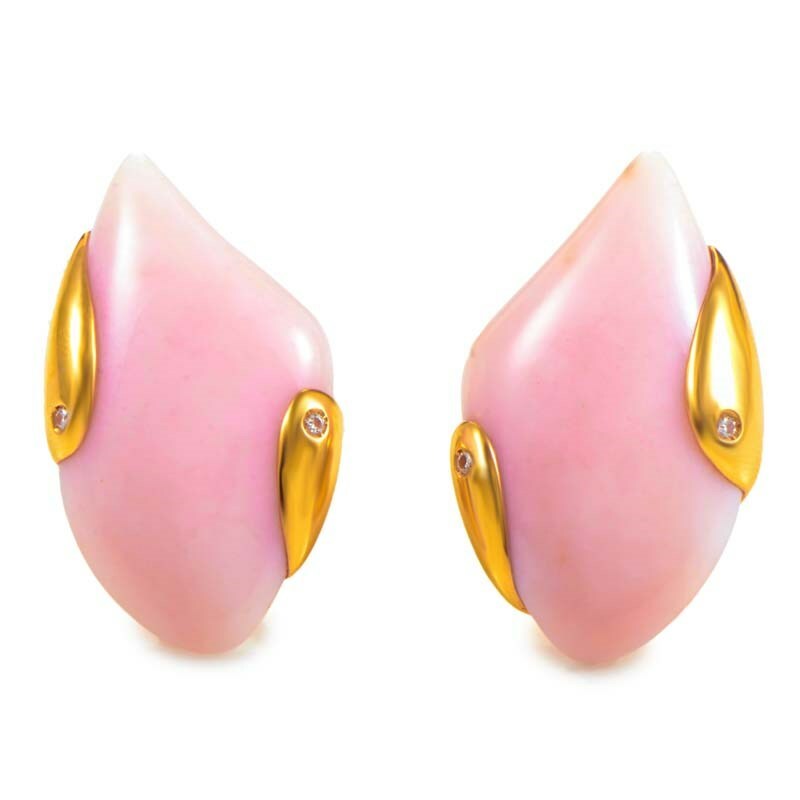 "Gavello Abstract 18K Yellow Gold Pink Quartz & Diamond Earrings"
"These earrings are modern and elegant. They are made of 18K yellow gold and contains ~.08Ct of diamonds and grand pink quartz stones. 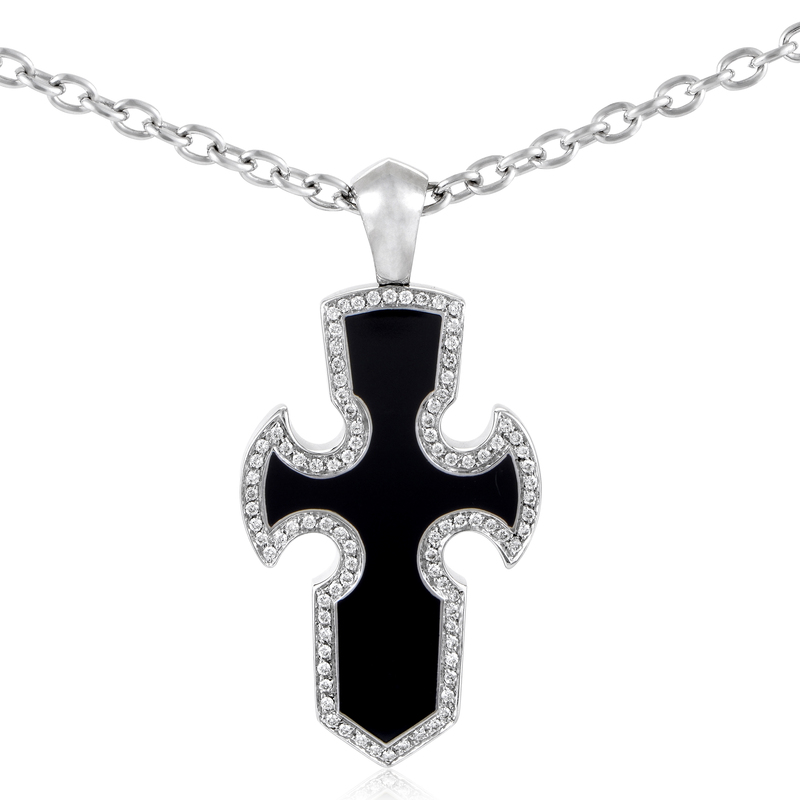 Gender: Womens Condition: Never Worn Metal: 18K Yellow Gold Weight: 28 grams Stone: 0.8ct Diamond and Quartz"
"Gavello Gotham 18K White Gold Diamond & Onyx Cross Pendant Necklace"